Vine and Musical.ly Are Gone - Is Oevo the Next Short-Video Platform? SAN FRANCISCO, August 6, 2018	(Newswire.com) - YouTube is flooded with extremely long videos that often get demonetized, Musical.ly went away into the abyss and Vine is dead. 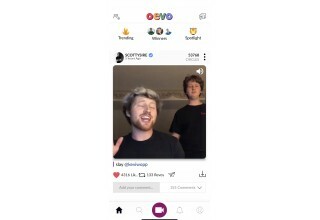 Creators like Jason Nash, Scotty Sire, Marlon Webb, Carly Incontro, Brandon Calvillo, J.Cyrus and Nicholas Megalis joined Oevo over a month ago, creating Vine-like content again. Oevo has been under the radar when it comes to short-video platforms. Recent events seem to be in its favor as Instagram moves to longer YouTube-like content and Musical.ly renames itself to a Chinese brand Tik Tok. Oevo has since updated its platform with a newer user-friendly Android user interface, a much smoother and advanced camera, as well as sponsored competitions in which they see a lot of potential for both creators and companies. Many of the content creators today who are sitting in remorse over these platforms going away or feel that they are too late to grow an audience should try out Oevo. The seven-second video competition app brings back nostalgic Vine-like memories. Oevo gives users seven seconds to showcase creativity in multiple categories, including comedy, talents, fashion, fitness, rants and so much more. Every day the Oevo has new creators making it to the trending page while getting noticed for their amazing content. Oevo will bridge the gap between brands and creators by hosting sponsored competitions. Creators will make engaging videos for brands while competing for prizes. These competitions will help spread awareness for both brands and creators. 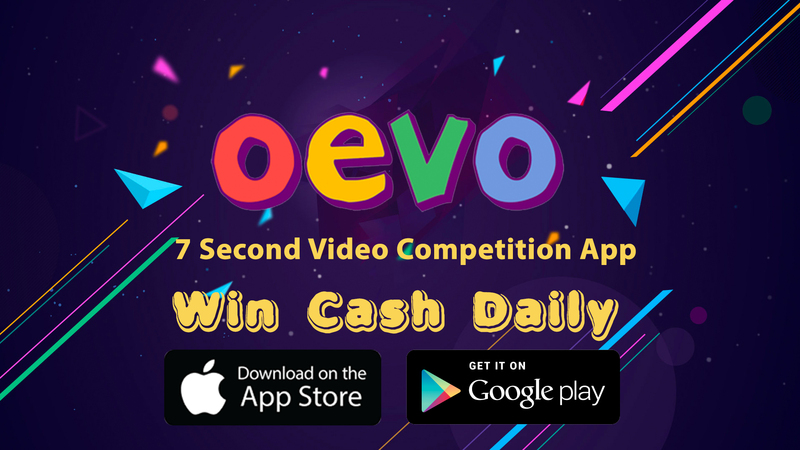 Like HQ and other cash-winning prize apps on the App Store, Oevo is creating its own idea - with video competitions - making Oevo the first video competition app in the world. Users don’t have to be famous to get noticed on Oevo. 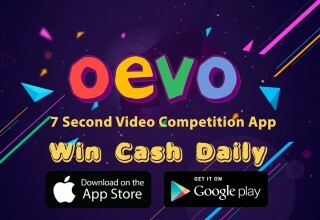 OEVO - a 7 second competition based video social networking app with daily competitions that will give creators the chance to win a $100 everyday. Watch Videos from Jason Nash, Scotty Sire, Marlon Webb, Carly Incontro, Brandon Calvillo, J.Cyrus, Nicholas Megalis, Ry Doon & more.